Two books from Wednesday, May 14, 2014. Plus your Nerd Confessions (about favorite time travel stories). 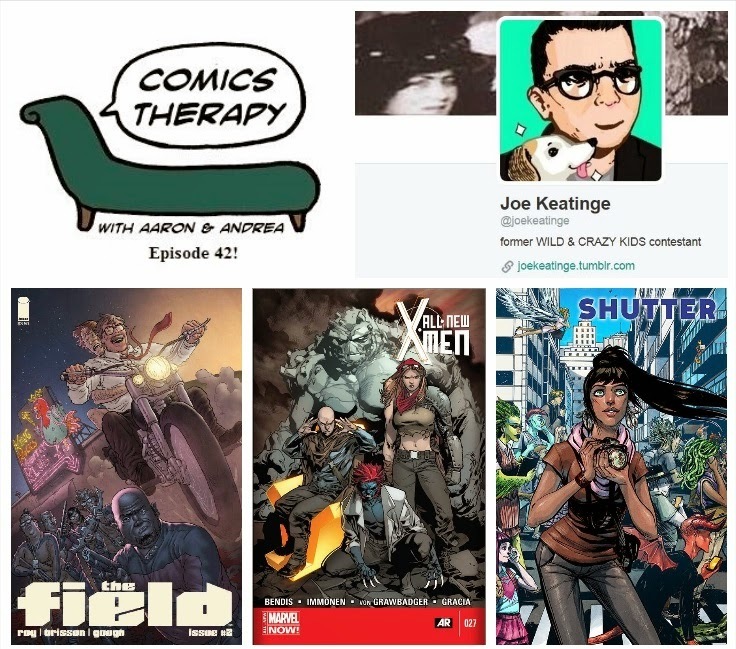 On The Couch: writer Joe Keatinge. This week’s theme is time travel, because why not. It’s probably the most common theoretical exercise, right? A daydream that starts at a young age and gets more and more complicated as we’re exposed to the rules and parameters of countless stories, movies, television shows and comics that use traveling through time as a catalyst, solution or problem to be solved. Remember that time a guy traveled through time and seemingly relived the same events over and over again but still had no idea what was going on? Again. Joe is a Harvey and Eisner-winning editor. Over the years he's also been a writer, artist, colorist and even publicist. These days, he’s probably best known for his work as a writer with Marvel Comics and Image Comics, including his new creator-owned series Shutter, with Leila DelDuca, published by Image and What If? Age of Ultron, published by Marvel. His upcoming Adventures of Superman story was recently announced by DC Comics.